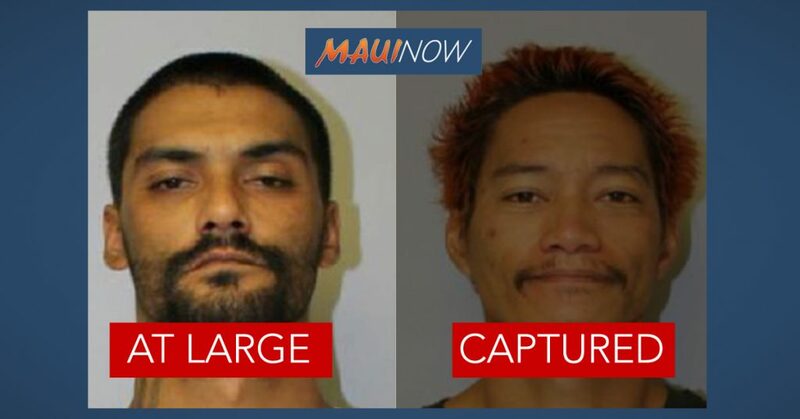 It is believed 30-year old Troy Diego (left) and 31-year old Barret “BJ” Paman (right) left the facility around 2:30 a.m.
UPDATE: Maui police say Barret “BJ” Paman (pictured right) turned himself in at around 3 p.m. today, police tell Maui Now. The other escapee, 30-year old Troy Diego (pictured left) remains at large. 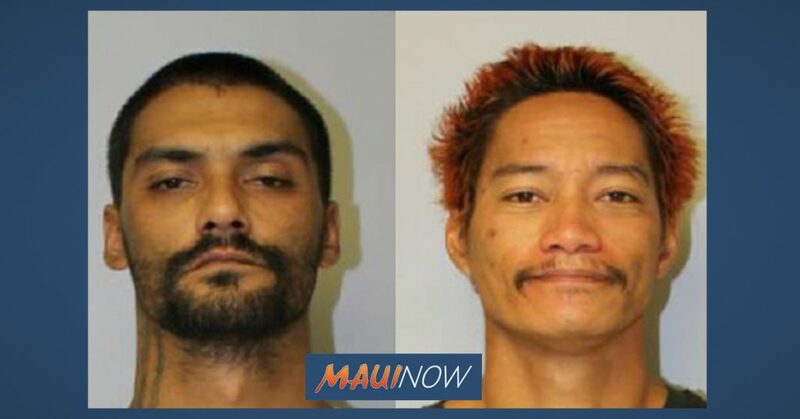 Two pre-trial detainees escaped from the Maui Community Correctional Center early this morning, according to Public Safety officials and Maui police. 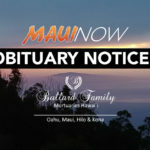 Authorities say 30-year old Troy Diego and 31-year old Barret “BJ” Paman apparently left the facility around 2:30 a.m. on Sunday, April 14, 2019. 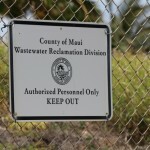 “That’s when staff noticed a broken door in the back of their dorm building,” Toni Schwartz, Public Information Officer for the Hawaiʻi Department of Public Safety said in a press release. “A lock-down was ordered, and a subsequent headcount confirmed they were missing. Correctional staff searched the perimeter and found clothing in the razor wire at the top of the north-facing perimeter fence. 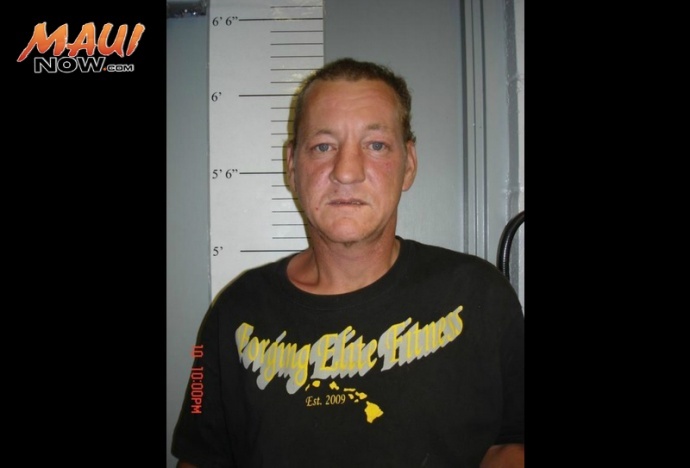 Once confirmed that they were not on the grounds, Maui Police were immediately notified. The lock-down was lifted just before 3:20 a.m.,” said Schwartz. Diego is described as 5’10” tall and weighs 140 pounds with brown hair and brown eyes. Diego is pre-trial detainee for theft, unauthorized entry into a motor vehicle and failure to appear. Paman is described as 5’8” tall and weighs 135 pounds with brown hair and brown eyes. 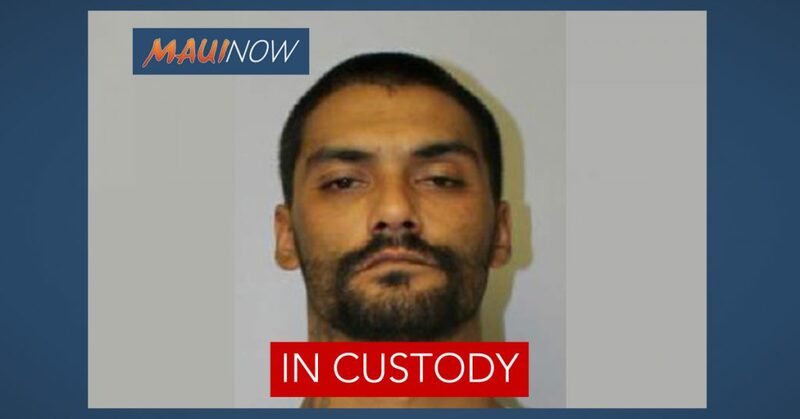 PSD officials say Paman is awaiting trial for charges of burglary, theft, carrying a firearm on a public highway and place to keep a firearm. Both men face an escape charge when found. Maui police advise anyone with information on Diego or Paman’s whereabouts to call Maui Police at (808) 244-6400 or 9-1-1 in an emergency. Police advise the public not to approach either individual.